Kyparissiakos Bay is the second biggest Mediterranean reproduction habitat of the Caretta caretta sea turtle. It is situated in West Peloponnesse, and extends from Katakolo cape, in the north, to Kounelos cape in the south. The magnificent sandy beach is 46 km long and it is only interrupted by Alfios River and two smaller ones – Neda and Arkadikos. The really magnificent scenery is characterized by the pine trees coastal forest all along the upper part of the beach, by the biggest and richest zone of sand dunes in Greece and by the intense ripple of the Ionian Sea that offers moments of peace and relaxation. In Kyparissiakos Bay there are almost 700 Caretta caretta nests on a yearly basis, the majority of which (86%) is mainly found in the southest part of the bay, and more specifically, in a 10 km area, between Neda estuary and Kalo Horio village, which constitutes the heart of the habitat. This area has been included in the European network Natura 2000 under the code GR2550005 “Thines Kyparissias: Noehori – Kyparissia” mainly due to the reproduction of the sea turtles and the protected flora in the sand dunes zone. The sea area round the bay has also been included in the same network of protected areas under the code GR2330008 “Kyparissia bay sea area: Katakolo cape – Kyparissia” due to the existence of widespread Poseidonia meadows which constitute feeding and reproduction places for plenty and various organisms. 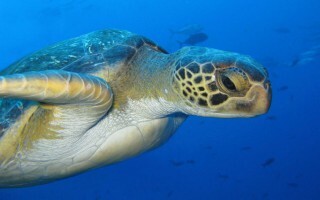 In Kyparissiakos Bay there are almost 700 Caretta caretta nests on a yearly basis, the majority of which is mainly found in the southest part of the bay, and more specifically, in a 10 km area, between Neda estuary to the North and Kalo Nero village to the South, which constitutes the heart of the habitat. A significant number of nests, however, are found in the section of the bay which is located north of Neda estuary, until Giannitsochori of Ilia Prefecture, length of 4 km. 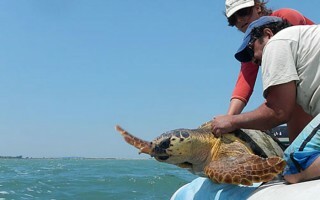 The entire area has been included in the European network Natura 2000 under the code GR2550005 “Thines Kyparissias: Noehori – Kyparissia” mainly due to the reproduction of the sea turtles and the protected flora in the sand dunes zone. The sea area round the bay has also been included in the same network of protected areas under the code GR2330008 “Kyparissia bay sea area: Katakolo cape – Kyparissia” due to the existence of widespread Poseidonia meadows which constitute feeding and reproduction places for plenty and various organisms. Since 1983 ARCHELON conducts a project of recording and protecting reproduction activity in the area between Neda estuaries and Kalo Horio village. In addition to this project and due to the celebration of 30 years since its foundation, ARCHELON opens a new project in Kyparissiakos Bay named “Neda”. The new project is placed in Giannitsoxori of Ilia Perfecture and will cover the area between Neda estuary to the South and Giannitsoxori to the North. Reproduction period starts late May and lasts till October. During this period, and more specifically from June 1 till September 30, with the participation of volunteers from around the world. 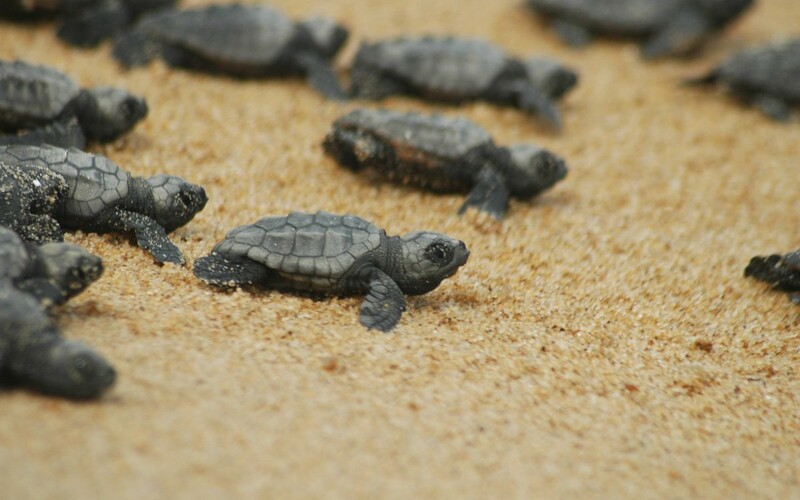 These unique, both in natural wealth and beauty, beaches of Lakonikos Bay have a total length of about 23 km and accommodate, in average, 200 Caretta caretta nests every year, whereas the sea area is the only spot in Greece where an other species of sea turtle, the green turtle (Chelonia mydas), is frequently encountered. A part of this area has been included in the european network Natura 2000 under the code GR2540003 “EVROTAS DELTA” as it constitutes not only a reproduction area for the sea turtles but serves as rest, reproduction and nourishment area for many bird species as well. Also, the sand dunes zone accommodates protected plant species such as the sea daffodil (Pancratium maritimum). The marine ecosystems of Lakonikos Bay include vast Posidonia meadows which serve as a reproduction area and a feeding ground for many organisms and fishes of commercial significance. ARCHELON, noting that the area of Lakonikos Bay is an important nesting habitat of Caretta caretta sea turtles, first began a project about recording and protecting the nests in 1985, which carries on to the present day. Specifically reproductive activity is recorded at 4 beaches in the region (Mavrovouni, Vathy, Selinitsa, Valtaki), of total length of about 8.5 km, which are used as an “index area” for the rest of the region. The reproductive activity begins in early June and ends in the last days of September. During this period, with the participation of volunteers from around the world. Koroni, a beautiful coastal town of Messinia, is located at the southwestern end of the Messinian Gulf and is about 50 km away from Kalamata. It has about 2,000 inhabitants, most of who are engaged in agriculture, fishing and tourism, while it is estimated that during the summer months its population exceeds the 10,000, since because of its beauty, it is one of the major tourist destinations of Messinia. Koroni is famous for its Venetian castle that looms over the city, its special picturesqueness which is due to not only its unique geographical position, but also its architectural composition and the golden beaches that surround it. 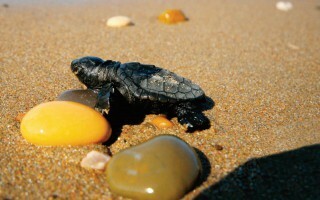 The significance of the Zaga – Memi beach in Koroni (2.7 km long) for the reproduction of the sea-turtle Caretta caretta had been identified since the late 80’s. It is a crowded beach that hosts an average of 40 nests every year. 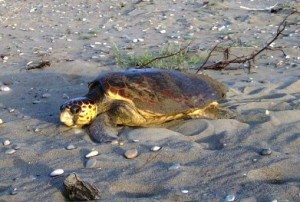 Since 1995 ARCHELON conducts each summer a project aiming the record and the protection of the nests. The reproductive activity begins in early June and ends in the middle of September. During this period, especially from 5 June through 15 September, with the participation of volunteers from around the world. Volunteers can spend their free time having sea baths, attend one of each kind of cultural events that take place daily in Koroni, carefree browse the quaint streets of the city with their special houses and cobblestone streets and of course visit the neighboring beautiful cities in the region (Methoni Finikounda, Pylos, Gialova) where history and ancient monuments meet the rich natural beauty with many protected species of flora and fauna. Morning observation, during which reproductive activity is recorded daily. Nest protection from human activity and predation by mammals (foxes, dogs etc), which is done by enclosing and marking the nests and by shading them, where necessary. Excavation of nests after the exit of the hatchlings in order to estimate the number of them that left the nest. Public awareness by operating a seasonal information station in Kalo Nero village, by organizing information slide shows in tourist facilities and camping of the area, as well as by conducting beach patrols in order to raise the bathers’ awareness. A Scientific and Environmental Station has been founded in Agiannakis area which, in the range of environmental education program, organizes guided tours for schools and visitors.